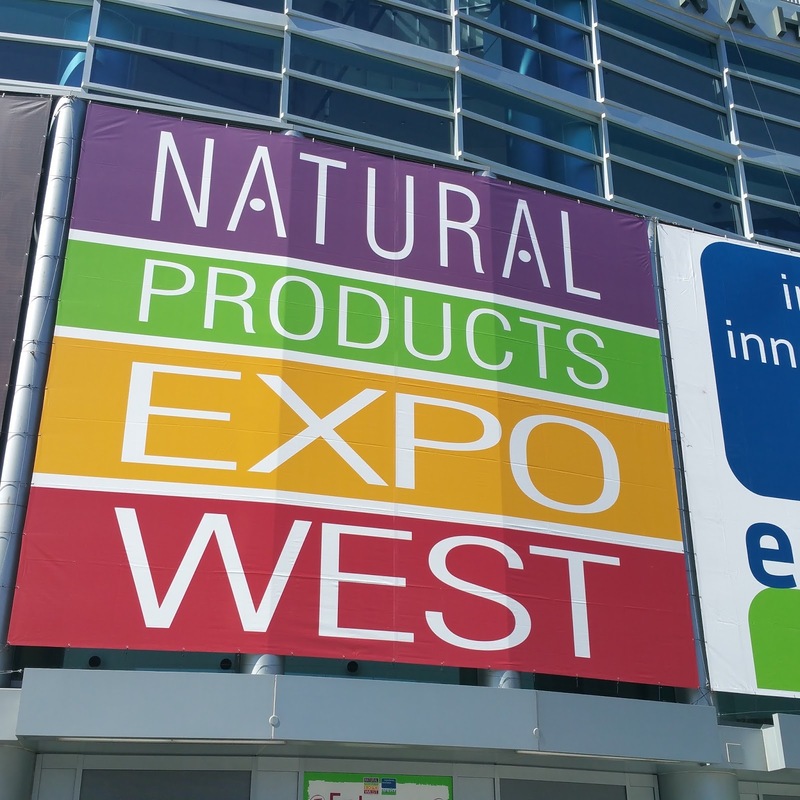 A couple of weeks ago I was able to attend the Natural Products Expo West in Anaheim, CA. This is always a great event with so many familiar and new exciting companies that show their products. I took a look mostly at the beauty section to see what was new. I also ended up looking at a few food companies that have some great products. Take a look at more photos below! 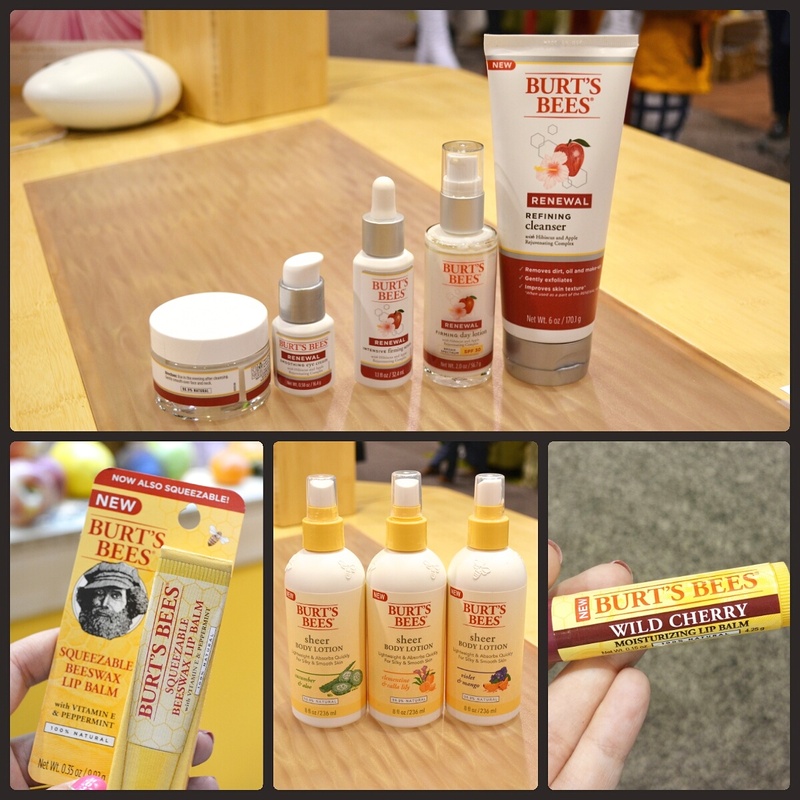 Burt’s Bees: This is always a favorite of mine to stop by and see what kind of new products Burt’s Bees has out. They now have these new spray moisturizers that come in three different scents. I tried them out and they are great! Lightweight, moisturizing, and non-greasy. If you didn't know already, they have a new squeezable beeswax lip balm and a Wild Cherry lip balm. Also exciting is the new line of Renewal Refining products ranging from a night cream, eye cream, serum, day lotion, and a cleanser. 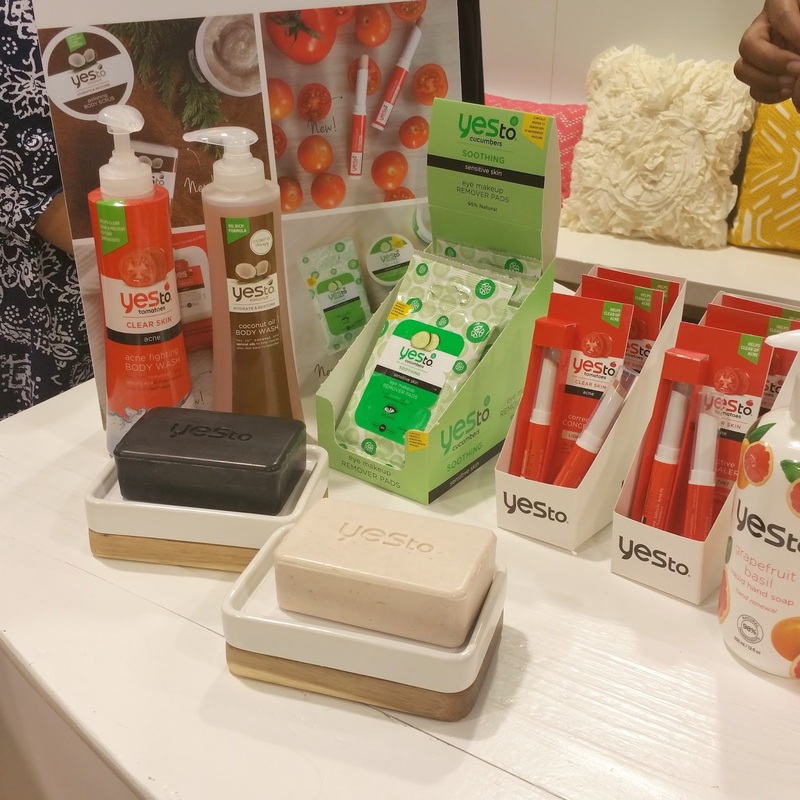 Yes To: These are some of the new products from Yes To. They have new body washes in acne fighting and coconut oil which smell amazing. Even soap bars which one has charcoal in it to draw out any bad oils from your skin. There are Yes To Cucumbers eye makeup removing pads which can easily take away any makeup with ease. I didn't even know they have concealer now, and they do! It is a Corrective Concealer for acne skin which you can layer over blemishes to cover up. Scotch Naturals: I found out about these new nail polishes from Scotch Naturals that I haven’t seen done before. They have a water-based formula that conditions the nails and gives long lasting, salon quality color. 100% free of all phthalates, parabens, solvents, nitrocellulose, acetone, and heavy metals. I will be featuring them here on the blog in the near future. Pacifica: They had a few new products, but these stood out to me the most. Pacifica now has these dry roll-on body oils that come in different scents. I will forever need the Coconut Sun and Tangerine Dream ones. They smell so good and I love the idea of using body oil in roll-on packaging. Just makes it so much easier to apply. Skin Fix: This brand is new to me, but I have seen it recently at Target stores. They have lotions, balms, body wash, and more. Products that can target skin concerns like eczema, rashes, sores, and even chronic dry skin. I am currently using their hand cream and I love it. I use it daily because the formula is lightweight and doesn’t have any kind of strong fragrance. Annie’s: My daughter loves Annie’s products, and I was happy to see that they have some new ones out this year. There are new animal cookies and cheddar crackers that are colored with fruit and vegetable extracts. Also new fruit snacks and snack packs of the animal cookies. I have already seen these at Target and bought them all for my daughter to take to school. 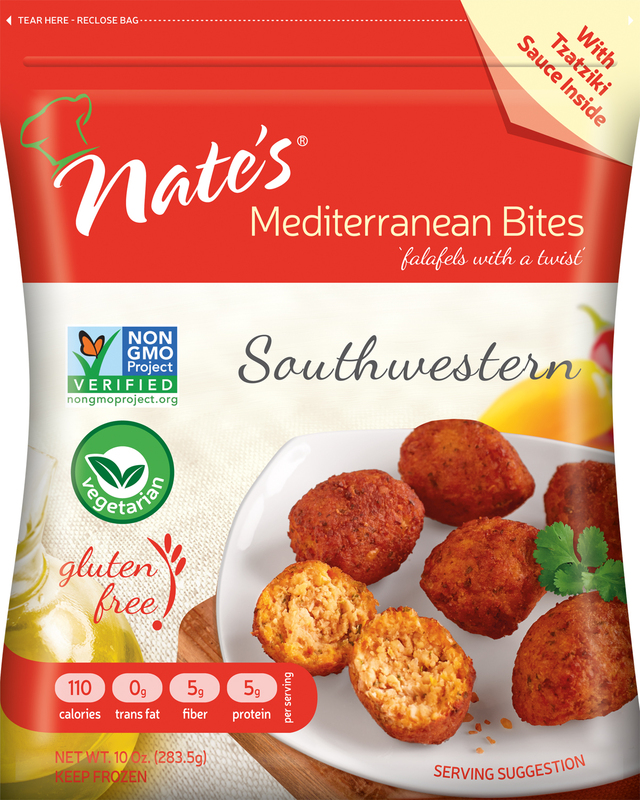 ADF Foods: I was able to go over to the ADF Foods booth and try out these new Mediterranean Bites from Nate's. There are four different kinds: Garlic and Pesto, Kale, Southwestern, and Sweet Potato. I tried the Southwestern ones and they had a lot of flavor that was satisfying. I forgot to take a pictures of them, but above is how they look int the packaging. They can be found at Whole Foods and I know other various stores carries them. Maisie Jane's: I'm so sad, I took a picture of their booth and must of deleted it off my phone before putting it on my computer. 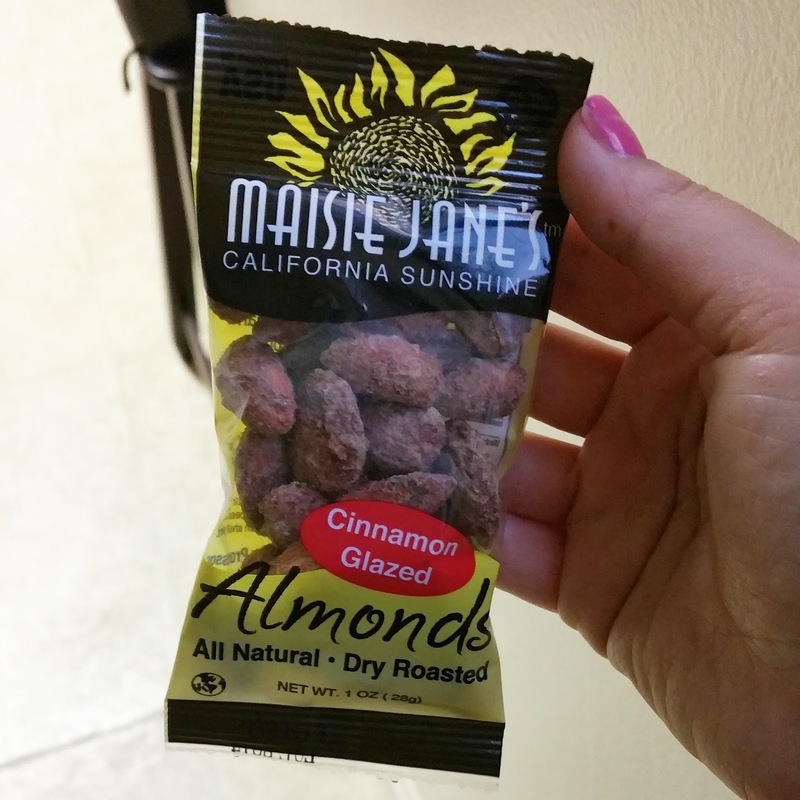 Maisie Jane's makes products with almonds that are dry roasted right here in California. They use all natural ingredients with no preservatives, GMO's, or irradiated products. I was able to try these Cinnamon Glazed Almonds and OMG! They were so good I ate them in one sitting. This post is just kind of highlighting a few brands that stood out to me the most. I will have more on these and others in future posts. I had a great time at this year's show and I can't wait to see what more there will be next year! I have two also, and I adore them! I have Rome, as you do, and Venice, the lightest and nudest champagne shade. I HATE glosses, generally speaking, but I loooove these, particularly Venice. It has both gold and silver shimmers throughout, making it perfectly neutral, plus it's not liquidy or goopy like most glosses, which gives a nice texture that stays. Buttercream scent, plus the way it just adds light to your lips, makes this something I hope to God isn't LE!